The Gear Shift Sensor is workable for 8Fun/Bafang BBS01 BBS02 BBSHD Mid-Drive Motor Conversion Kits. The Gear Shift Sensor is compatible with electric bike mechanical disc brake. 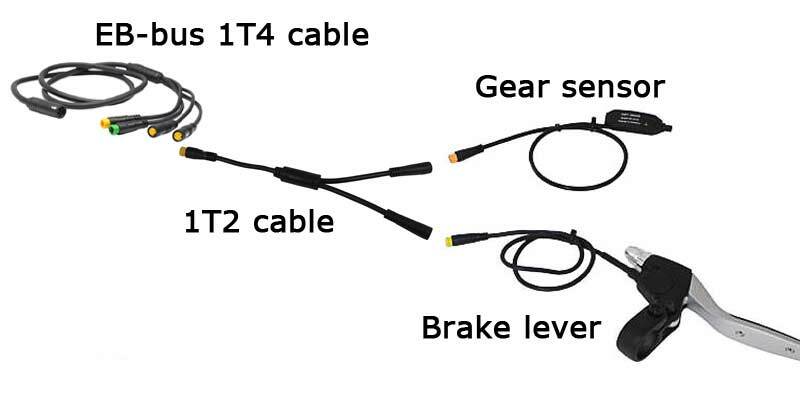 The Gear sensor can detect the action when rider shifted the gear on e-Bike. The gear sensor could be used for middle motor drive system to prevent the chain or derailleur from damage. This Gear sensor is recommended to use with the Bafang mid drive motor kits BBS01B/02B and BBSHD to shut off motor power while shifting.